Those who are passionate about golf are constantly trying to improve their game and become better players, which is why they use all sorts of golf gadgets and devices to obtain better scores. 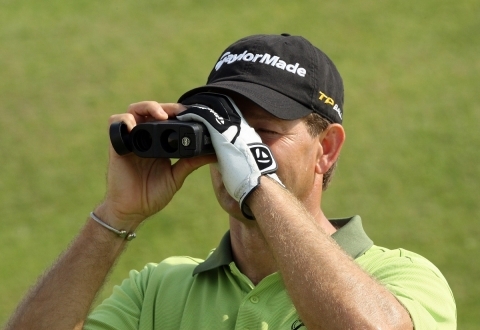 Golf rangefinders can help golfers play at their best, as they comes with many effective features that can offer new opportunities of getting the ball into the hole. Still, what to look for when searching for the best golf rangefinder? In order to make an informed decision, we advise you read as many reviews as you can, because only that way you will find out the differences that exist between certain models and brands. However, keep in mind that there are many biased reviews that can bring into prominence a product’s benefits without referring to its downsides as well. How can you tell that a review is biased? The main sign which indicates the fact that a golf rangefinder review is biased is the lack of information regarding the product’s disadvantages. Furthermore, the best review will discuss customers opinions, and it will inform people about the main aspects that golfers were impressed with, but also the details that they were less happy about. Since, people’s expectations are different, it is impossible for a certain product to satisfy everyone’s requirements. Therefore, you need to analyze your needs, and find which the right golf rangefinder for you is. For example, while some golfers prefer compact, lightweight devices, others don’t like small rangefinders, because they can’t hold them with both hands, which is important when you have shaky hands. So, make sure that you know what is best for you. What type of reviews should you trust? Accurate golf rangefinder reviews which present the manufacturer’s warranty even when the warranty is not impressive can be definitely trusted. If a product doesn’t come with the extended warranty that customers expected, it means that the manufacturers are not confident in their work, and that it is not of a high quality. Therefore, if a review informs readers about a bad warranty, it proves that it was written to help golfers make a smart purchase. Furthermore, most beginners don’t know that golf rangefinders which can measure slope are not allowed in certain tournaments. So, if a review notifies readers about this problem, chances are that it was written with effectiveness in mind. Therefore, you can trust that it contains unbiased information.